Have you heard abut Klout yet? I'm guessing you have and you have had many a mindset about it. First, you thought - what's Klout? I need to get in on that. I need to have Klout for ALL THE THINGS. Then you wondered - why am I on Klout? What am I supposed to do with this account, anyway? And then you either, a. left Klout. Canceled your account or just plain disappeared from it. It's cool. No worries. Or ... b. Stopped by now and then to check out the perks, see if anyone had +K'd you, or just sent some love to some of your friends so they'd know you found them helpful in a certain area. I feel like all of those sum up my history with Klout, because I although I never "left" it, I certainly took a break or two. But Klout's sticking around. And it's really kind of interesting. So much so that there's a book about it! 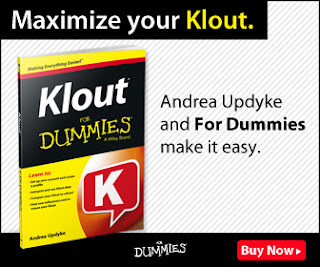 Klout for Dummies was written by my friend, Andrea Updyke and I'm here to talk you through it a bit. I found that this book is geared more towards people who want to join Klout and need a full breakdown of not only how to do so, but why they would want to, or those who have recently joined and are interested in what the next steps should be. So for someone like me, who has had an account for a while, some of the information provided isn't immediately relevant. But don't worry, I read all of it to ensure I give you a thorough review. Social media experts are divided when it comes to Klout, so it's a good idea to take a few minutes to decide if you even want to participate in the social scoring site. Important reminders. As with many social media related sites, you decide if you want to participate and at what level you'd like to do so. Klout essentially measures your social influence by monitoring your social media engagement. To sign up, you'll need to decide if you prefer to use Facebook or Twitter, and you'll also have to determine whether you'd like to connect your Klout account to your personal Facebook page or your blog page (if you have one, and you probably SHOULD have one - although I'm starting to notice a reverse trend there, which is a whole other note). Once you've decided to set up your account, or if you already have one, Andrea's book walks you through account maintenance. You'll make that decision I mentioned earlier re: Facebook. You'll determine whether or not you'll connect Klout to your Instagram (YES! ), LinkedIn (maybe? ), Google+ (YES there, too!). I'll be honest, it's a little hard to review this kind of book, because it's not drama or characters, it's truth and technology. So instead of breaking it all down, I'll give you some more overview. 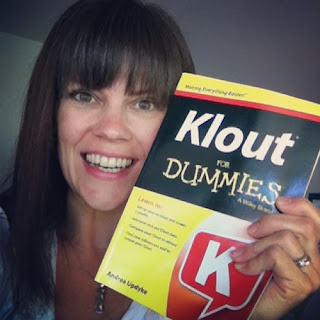 Klout for Dummies offers tips, information, screen shots and more on how to engage in Klout's scoring system. 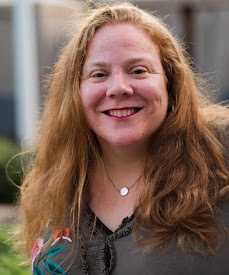 Andrea teaches you how to utilize your social media to best engage with Klout, and how to connect and engage with others who are participating, as well. She ensures that you learn about Perks and how to obtain them, influencers and how to change them, or support them, and topics, whether your own or those that belong to others. And if you don't know what an influencer is and you're on Klout already? Go get yourself a copy of this book, stat. Andrea also talks about using Klout for Good, something I'm extremely interested in learning more about. One of the points in the book that I was really interested in was the information on creating lists. I'm not sure I've figured it out yet, but I think Klout went and changed something up on us before this book landed in my hands. But that's okay - that's today's technology! So, there you have it. And here's the beautiful author with her book (scroll down). 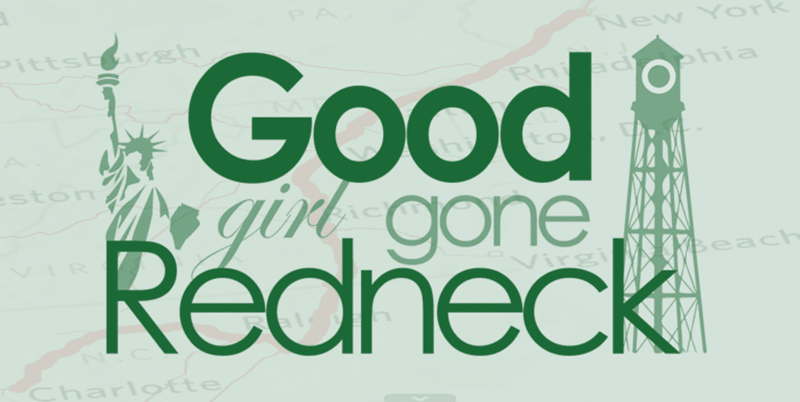 She doesn't come with it, but you can find her on Facebook at /LilKidThings, Twitter @AndreaUpdyke and on G+ +Andrea Updyke. Leverage your online influence with this fun and friendly guide to Klout! Klout measures your online influence on a scale of 1 to 100 by looking at your number of followers or connections, as well as by measuring your ability to drive action on social networks. This easy–to–understand guide helps you understand how Klout works so that you can use it to your advantage to leverage your online influence. Klout just annoys me now. I used to love them, I guess I need this book.